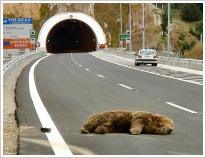 The Greek bear population covers approximately 13.500 km2 and it is estimated at minimum 190-260 individuals. 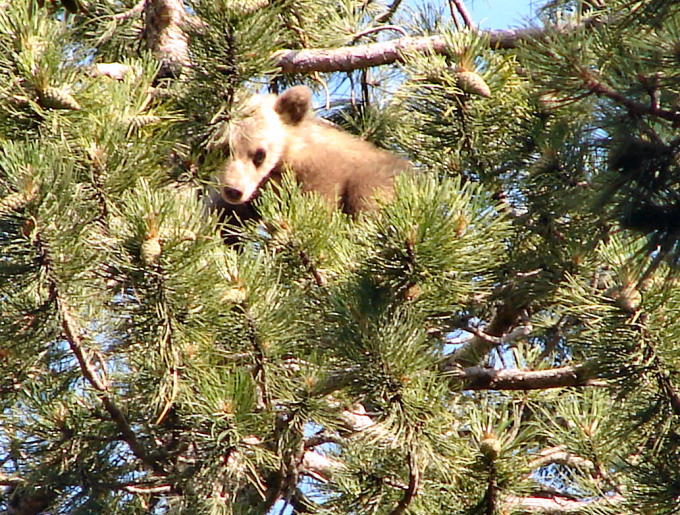 The minimum bear population in the Greek project area is estimated at 30-40 individuals, which represents nearly 15,3% of the total bear population in Greece. This species is permanently present in “Aspropotamos” and “Kerketion Oros (Koziakas)”. 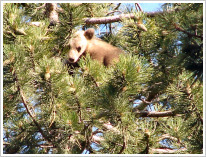 Both sites host the largest part of the brown bear population of Central-South Pindos range. 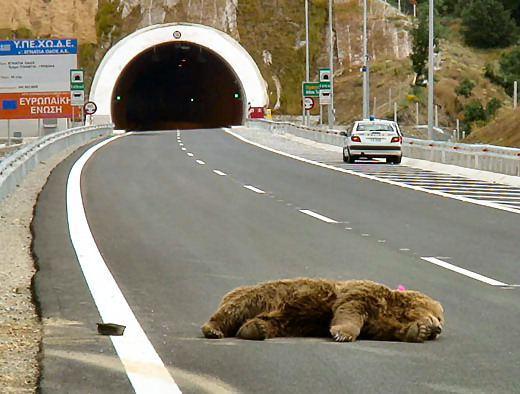 The 58.6% of site GR1440001 “Aspropotamos” and 24.4% of the site “Kerketion Oros (Koziakas) are characterized as priority bear habitat. Concerning site “Antichasia Ori – Meteora”, it operates as a dispersal corridor between eastern Pindos sub-population and eastwards to mt. Olympus area where recolonization of former bear range is being recorder since 2003. The Greek wolf population is estimated at approximately 500-700 individuals. This species is distributed over the whole Greek project area, where it numbers minimum 50 individuals in about 10 wolf packs. 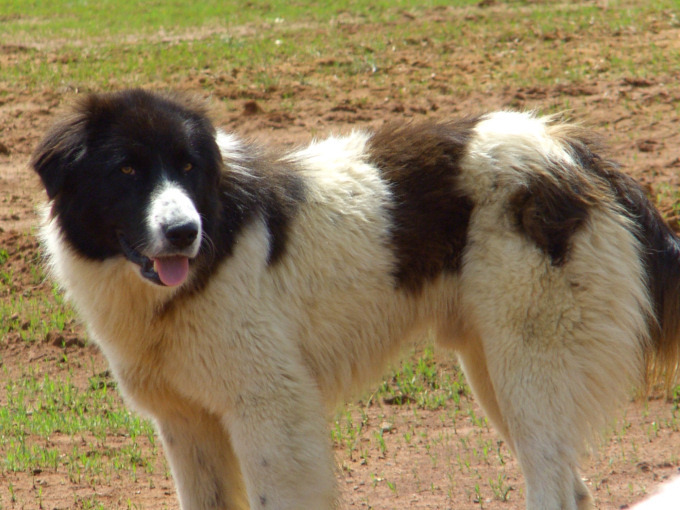 These account for approximately 10% of the estimated Greek wolf population. Koziakas and Antichasia sites are two of the most important core areas of the wolf distribution in Central Greece. Wolf distribution in the project area encompasses a great variety of habitat and human land use areas, from lowland free livestock ranging areas of Mediterranean evergreen scrublands (Antichasia and Koziakas sites) to high productivity mixed conifer and deciduous forests (Aspropotamos and Koziakas sites). In Antichasia site important levels of livestock depredation wolves are reported, which lead to secondary negative effects, especially the illegal use of poison baits that affects wolf population and other important fauna species such as the Aegyptian vulture (Neophron percnopterus). The neglect of one or more of the conservation approaches jeopardizes the conservation of a species such as wolves or bears. The availability of food sources and shelter are not sufficient to guarantee long-term conservation and the local communities do not accept the presence of the species. In the Greek project area, large carnivore populations have suffered severe declines over the first part of the past century, and are now recovering vast parts of their former ranges. 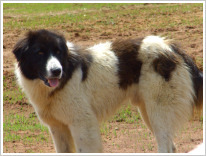 Traditional damage prevention methods, such as intensive guarding by shepherds with livestock guarding dogs have disappeared or are only scarcely used. Moreover, the control of the livestock in fences or barns is done irregularly. In many places livestock are left free to roam on the pastures and in the forests at night, being exposed to the attacks of carnivores. Thus, the unprotected domestic animals are vulnerable to attacks from predators. The consequence is a high incidence of damage. Many farmers have negative attitudes towards the target species. 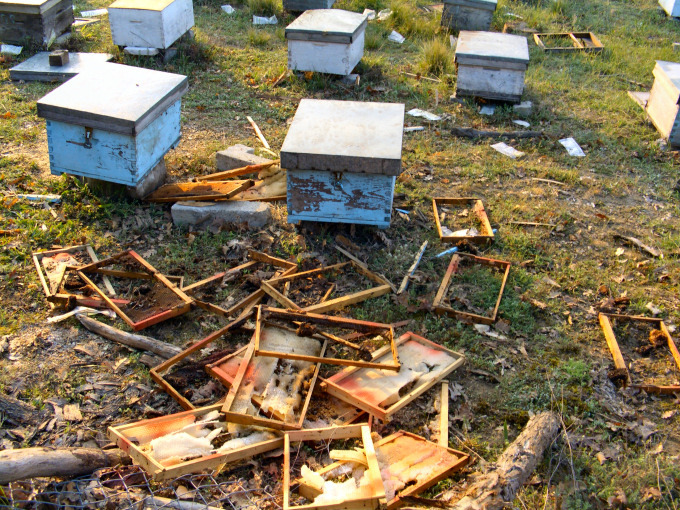 This is in part an effect of the damage the carnivores cause on agriculture. In addition, many people in rural communities and citizens fear carnivores, mainly the wolf and bear, due to legends and wrong information. The existing compensation system in Greece is not effective in reducing the amount of damage caused by carnivores and farmers continue to have a negative attitude towards these species and mainly towards state authorities and NGO’s. 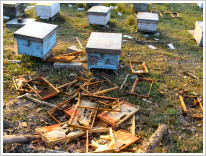 In the Greek project area brown bears repeatedly approach livestock farms, beehives or cultivations, even very closely to villages. This fact causes lack of general support for the conservation of the species, which can easily cause an increase of the hunting pressure.